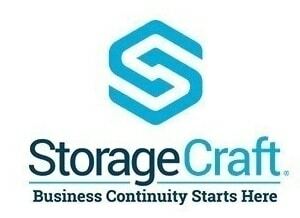 In conjunction with our state of the art restore and backup technologies our Business Continuity Service delivers near instantaneous upload of mission critical services. For many businesses, being without their IT systems, emails and applications for even a few hours can be disastrous. In this case it is essential you invest in a Business Continuity solution to manage any problems in advance so that, even in exceptional circumstances, your organisation and employees can remain operational. We can get your systems up and running rapidly. Creating a virtual image of your data, infrastructure and applications offers a swiftly available, bootable copy of your working environment. If misfortune does occur then this replicated environment is simply switched on and the client is provided with VPN access to continue as normal. Missing Link provide a full suite of business continuity for all businesses large and small. We can get your systems up and running rapidly. Creating a virtual image of your data, infrastructure and applications offers a swiftly available, bootable copy of your working environment. If misfortune does occur then this replicated environment is simply switched on and the client is provided with VPN access to continue as normal. This is a process that can be turned around in a matter of minutes where possible, not hours. Our on-site Datacentre environment means we, as your outsourced IT experts are right there, on hand to ensure your systems, applications and data are recovered as quickly as possible to ensure your business has reduced downtime as a result.